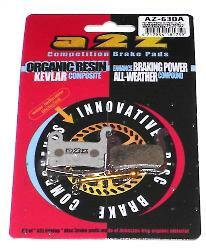 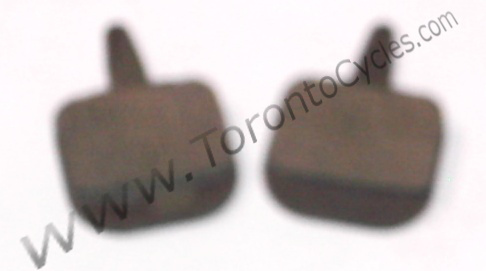 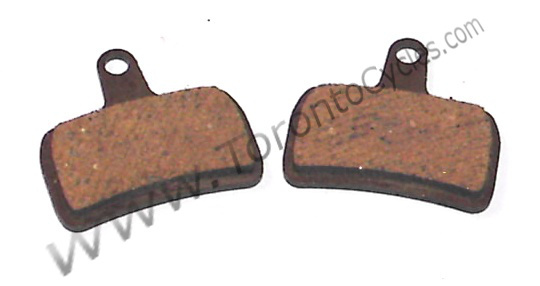 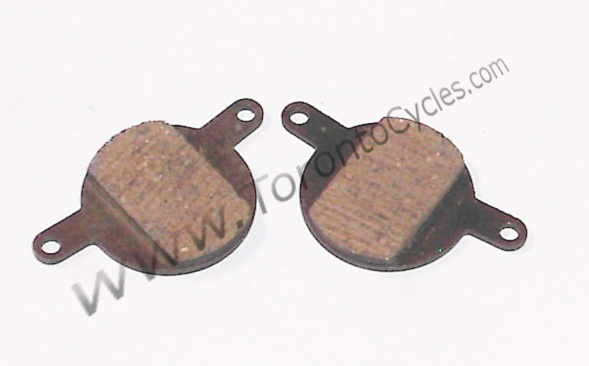 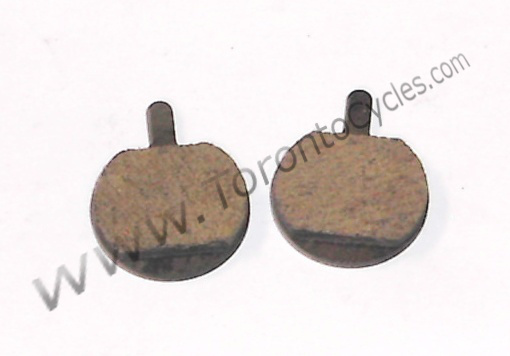 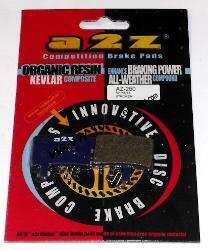 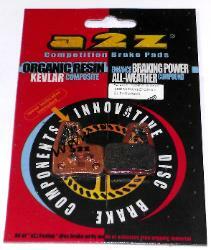 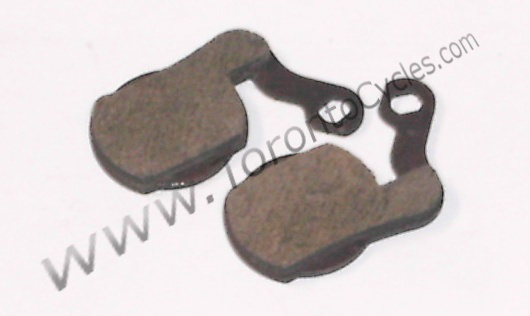 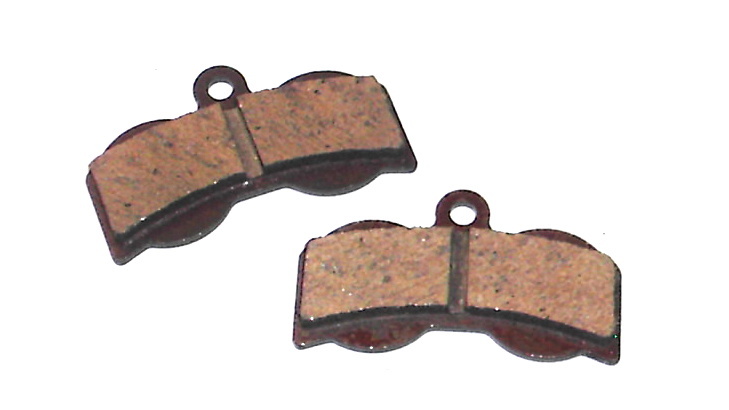 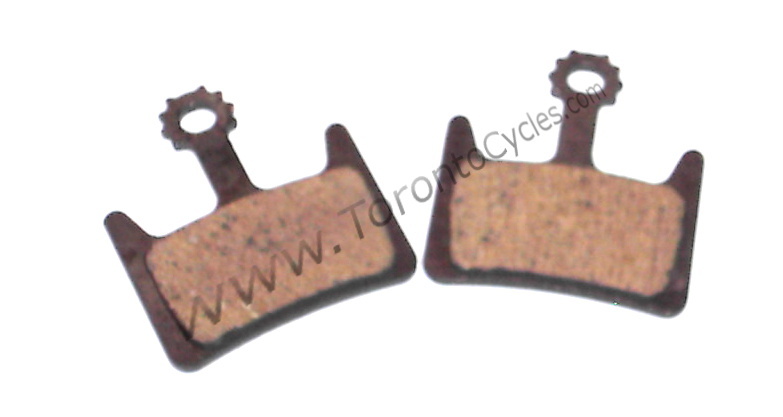 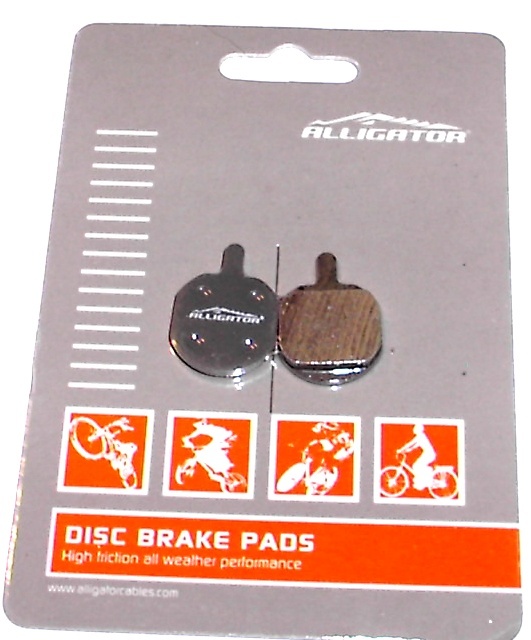 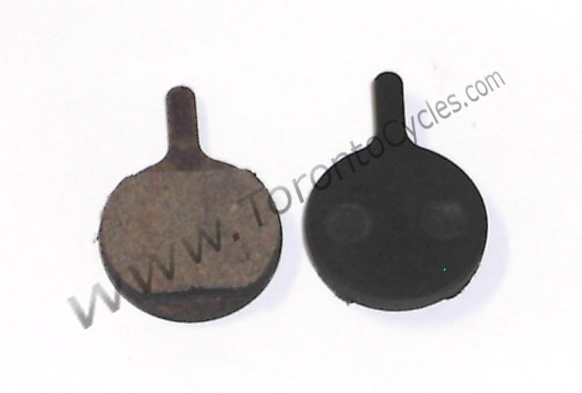 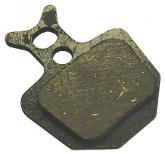 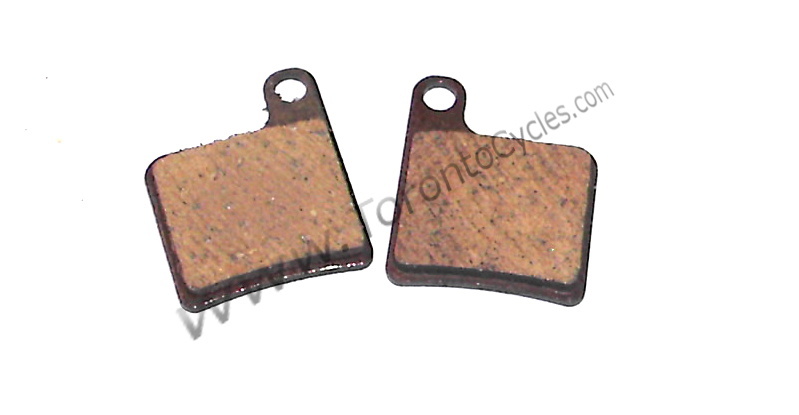 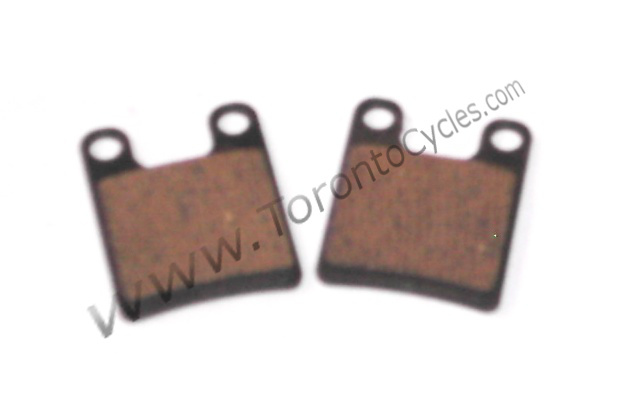 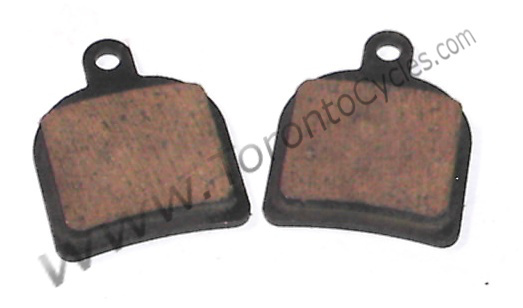 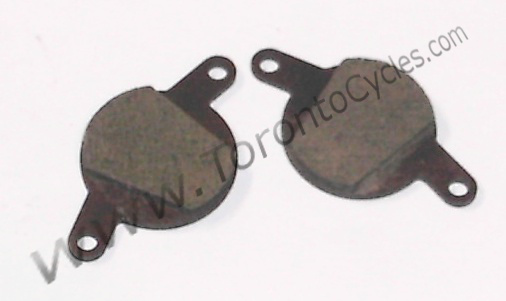 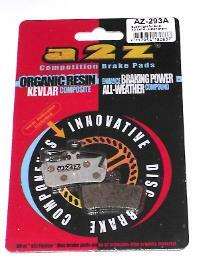 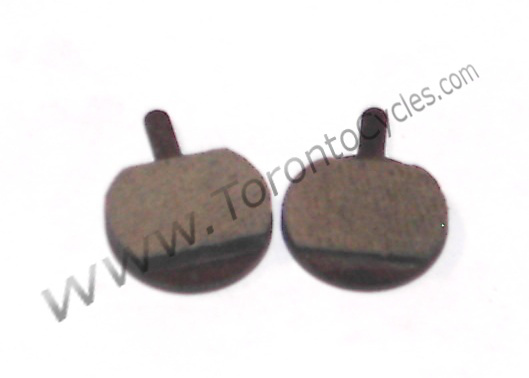 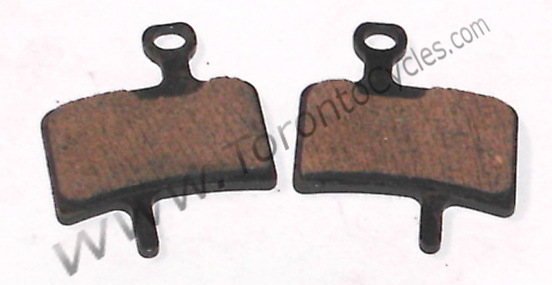 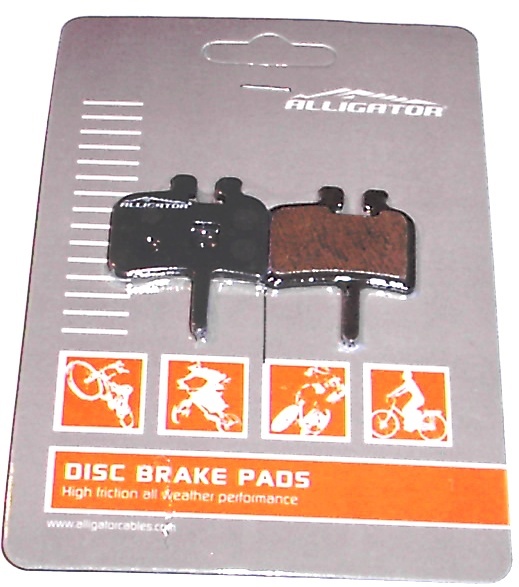 A2z Ultralight pads save almost half the weight of regular disc brake pads. 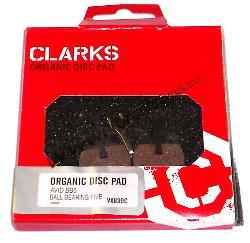 Pads are asbestos free, organic material. 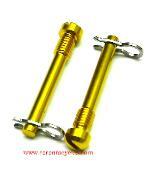 effective way to shed some weight. 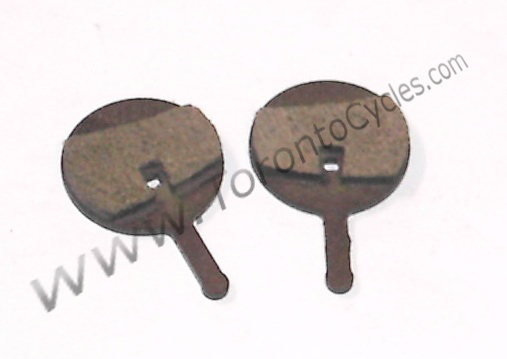 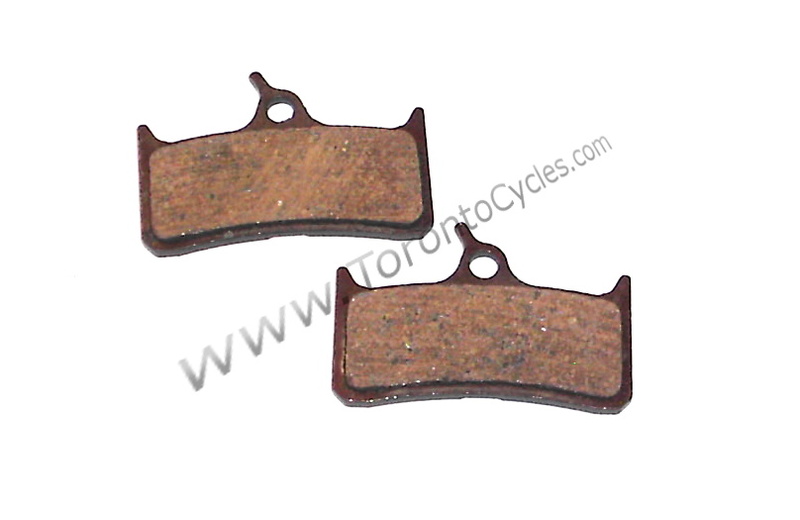 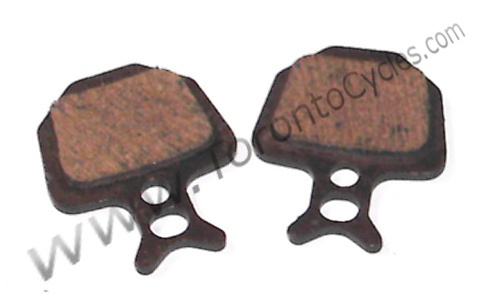 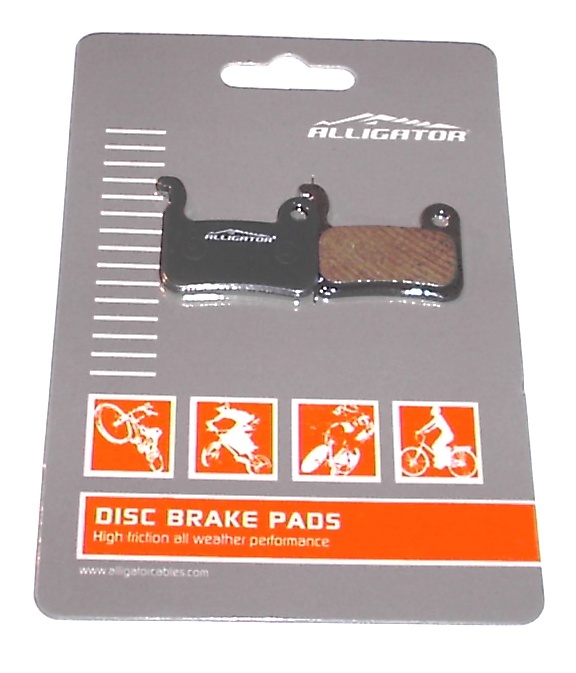 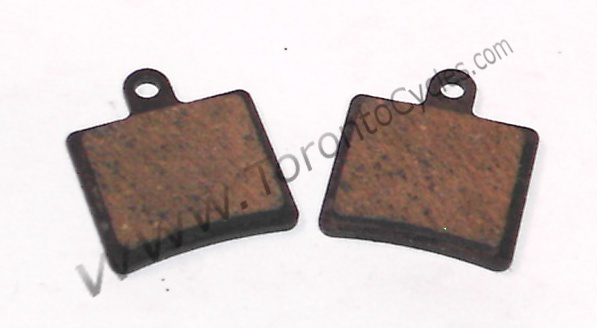 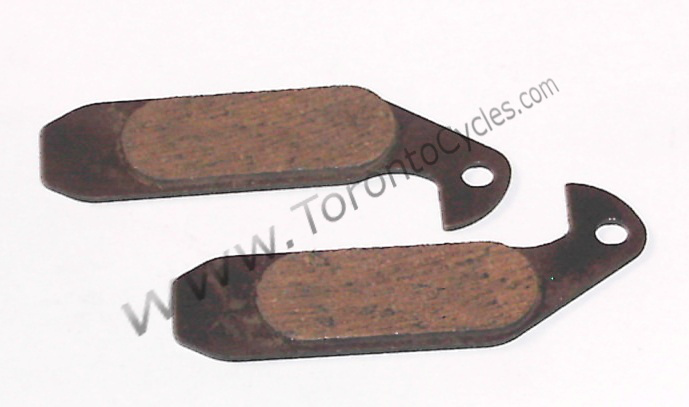 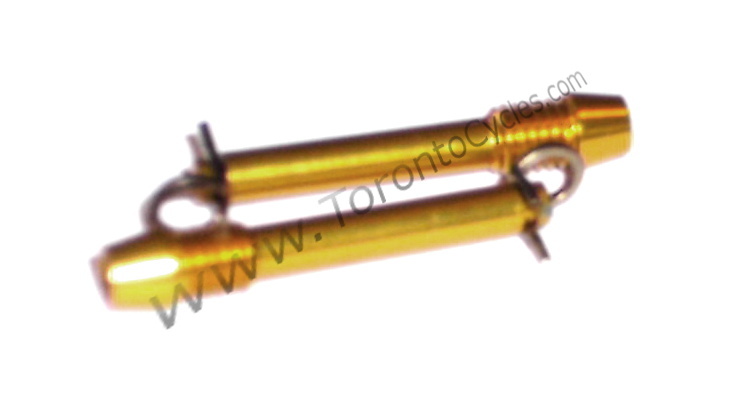 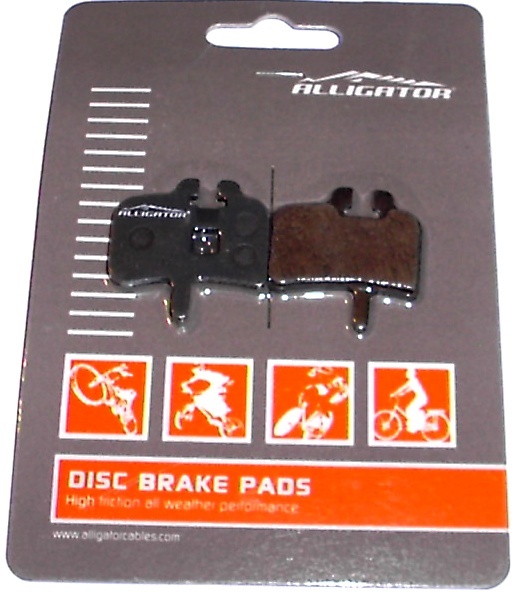 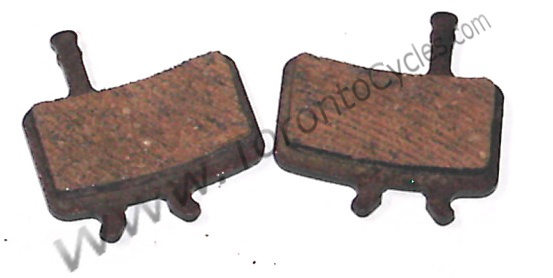 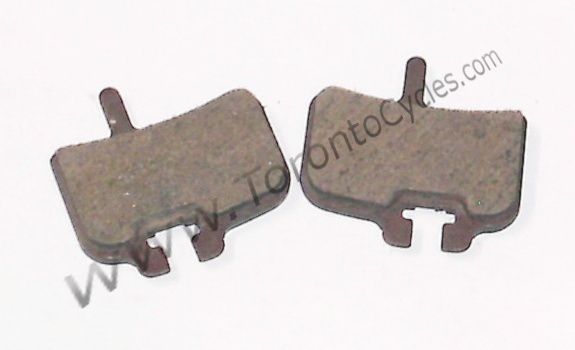 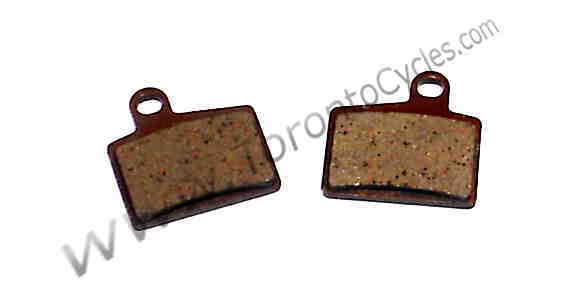 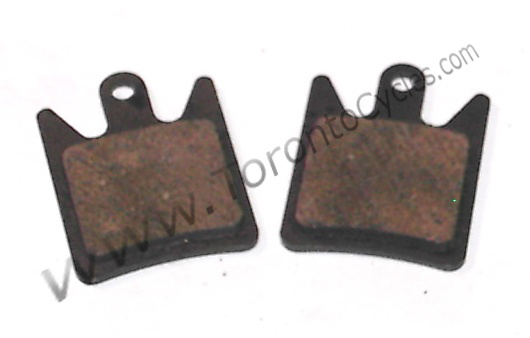 New Alligator Bike Disc Brake Pads. 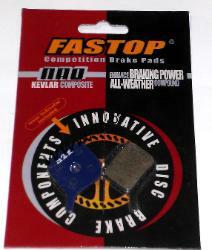 All Weather. 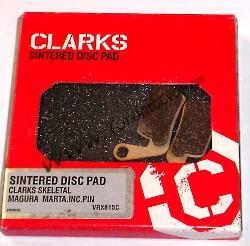 holds the pads in place. 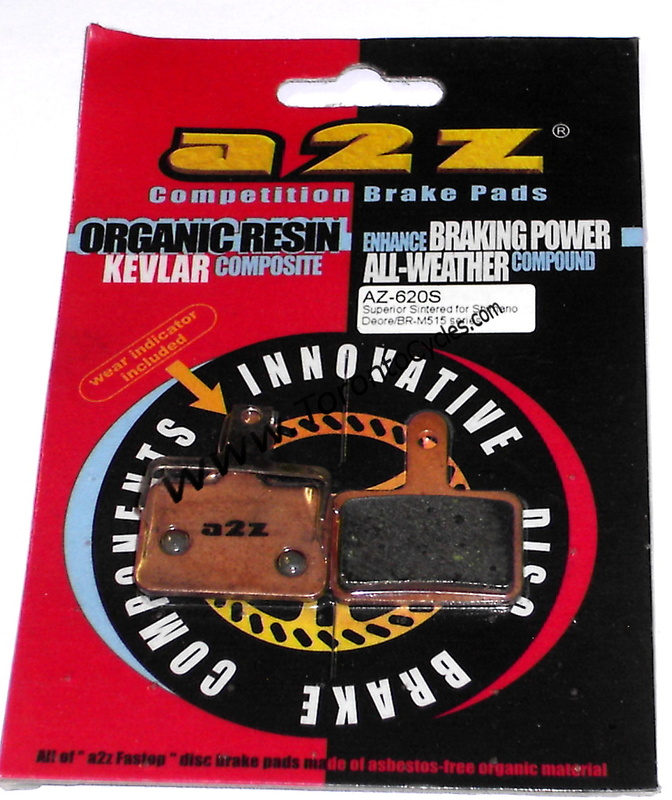 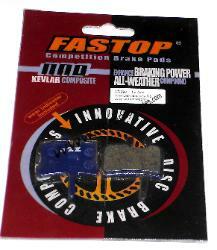 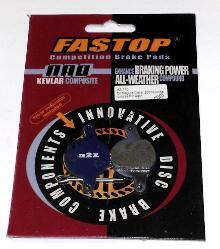 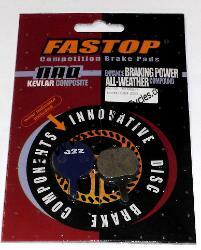 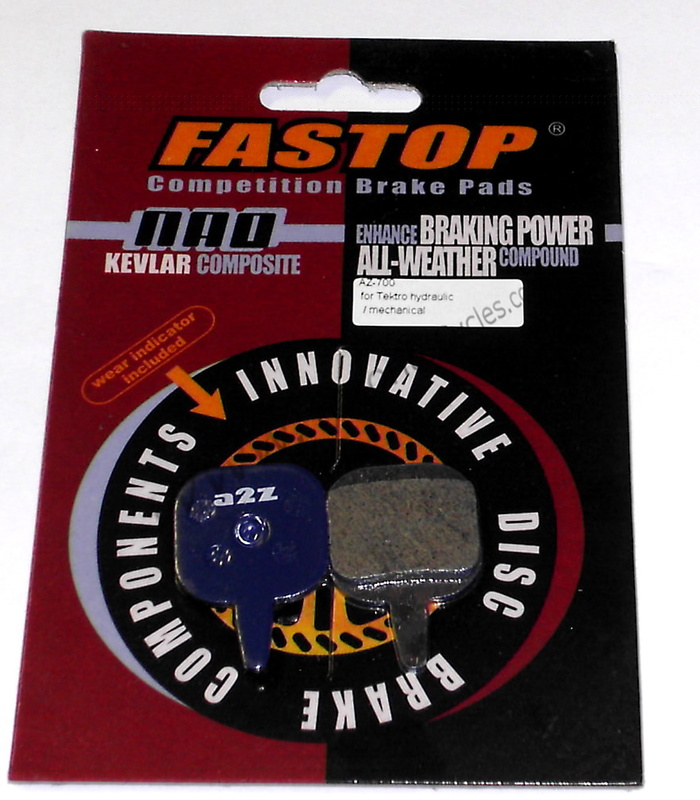 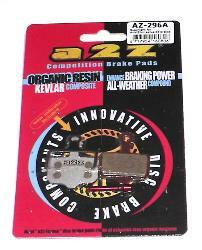 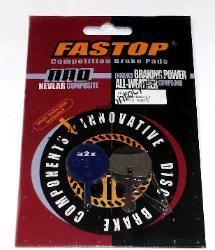 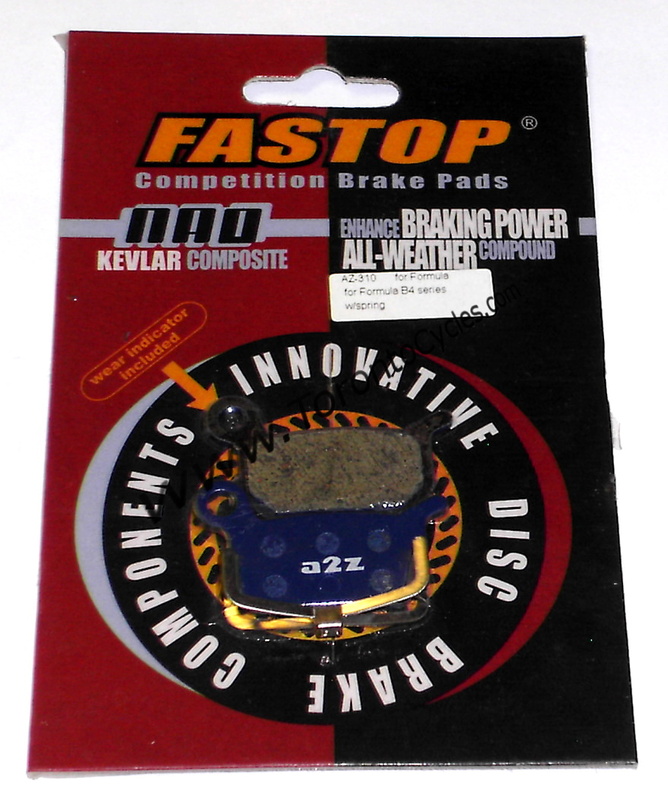 A2Z patented wear indication will remind you when to replace the brake pads when the brake pads become too low. 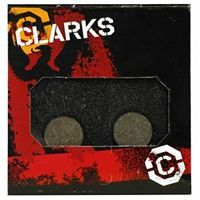 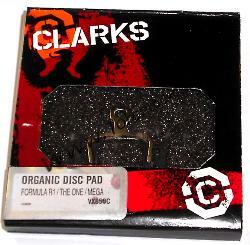 These pads are highly rated on Forums and Amazon user reviews. 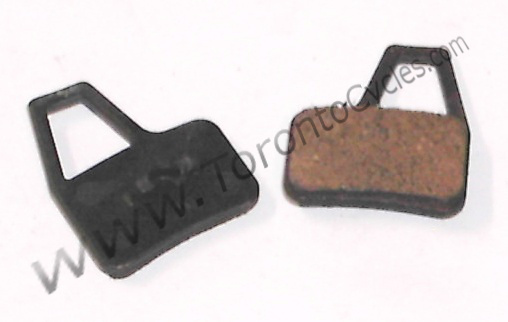 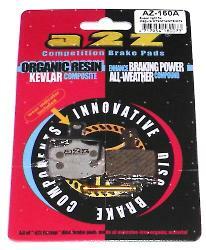 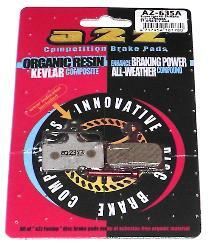 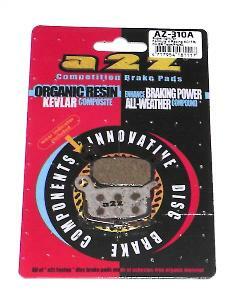 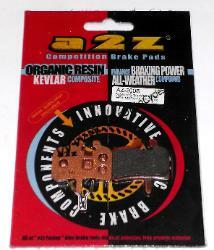 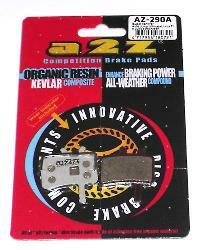 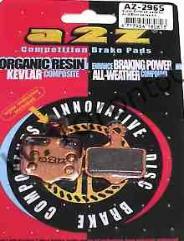 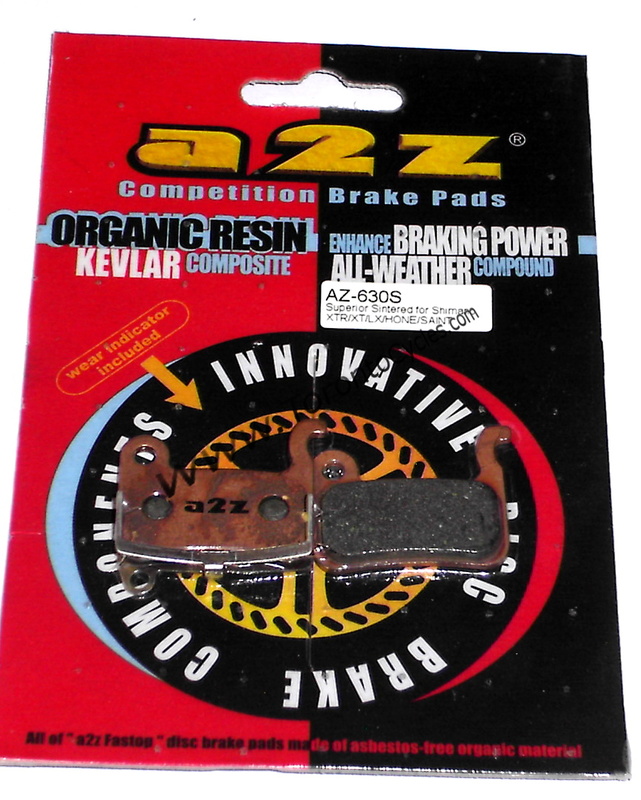 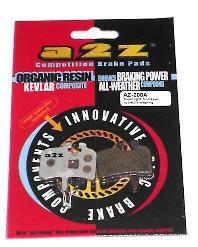 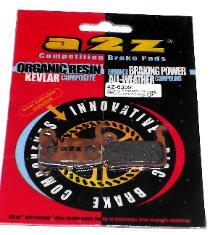 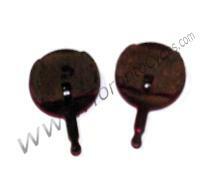 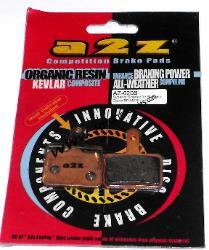 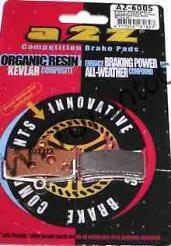 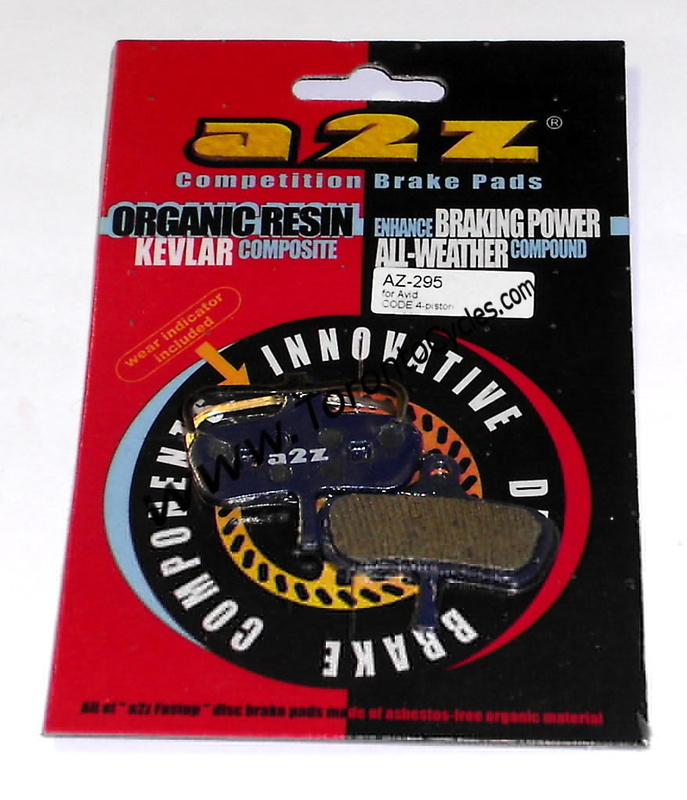 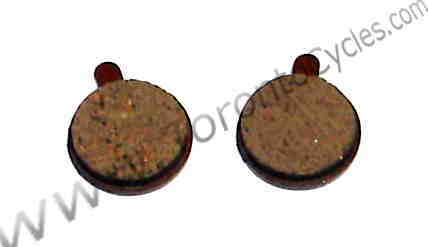 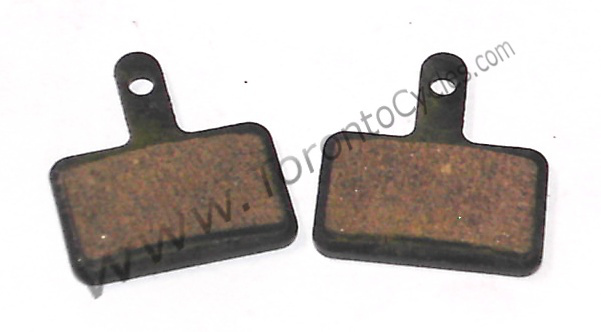 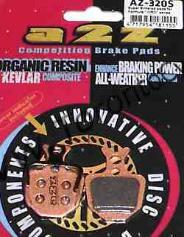 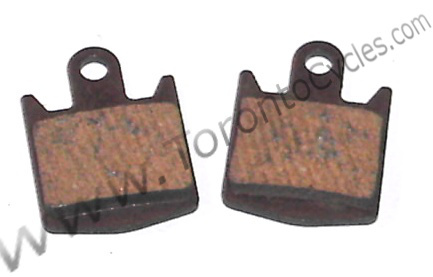 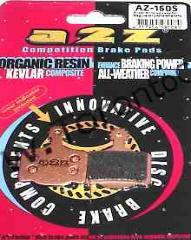 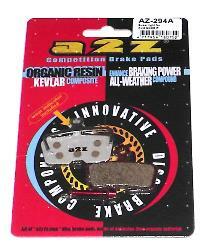 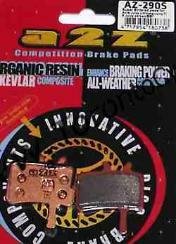 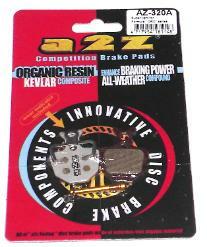 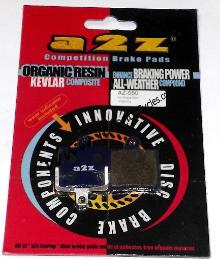 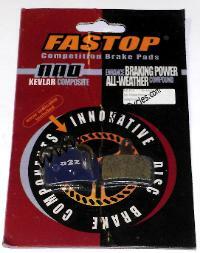 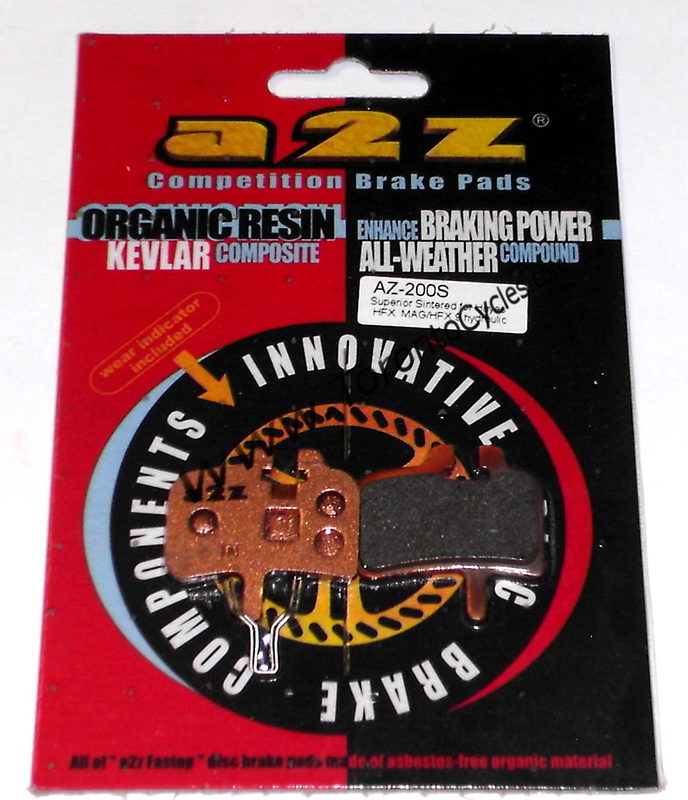 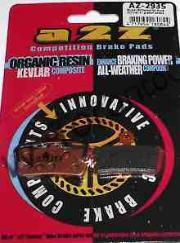 A2Z brake pads are made out of sintered material. 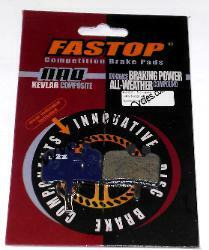 They also improve the braking feel and control in all conditions.